Online 3D slot developer Betsoft Gaming has a knack of releasing visually superb slots that have a comical slant to them and this Once Upon a Time slot is a perfect example of that. 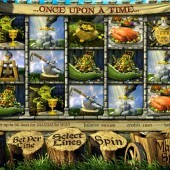 Once Upon a Time is a 5-reel, 30-payline slot that has a medieval theme with a touch of fantasy thrown in. The medieval vibe is evident right there on the reels, with symbols including a knight, princess, court musician and an array of medieval weapons. The fantasy angle is brought to the table with the inclusion of a dragon, a pot of gold and what appears to be a leprechaun or dwarf’s front door located on a tree stump. 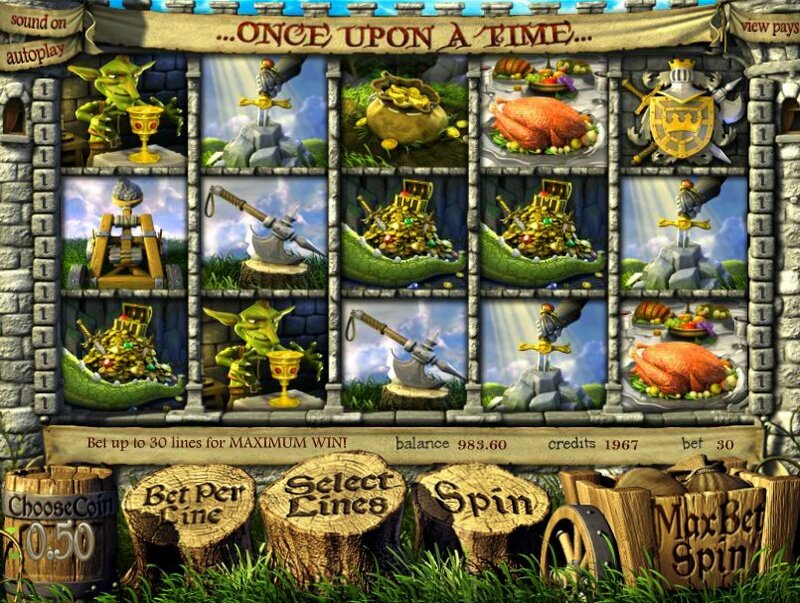 There is also one of the goblins from Betsoft Gaming’s fantasy-themed slot, Greedy Goblins, on the reels. He's a Fire Starter! Twisted Fire Starter! The Wild symbol is represented by the dragon icon and not only does it complete winning combinations to reward you with cash payouts but it also triggers the Fire Starter Wild Reel Feature. This is triggered when you hit the dragon Wild on the first space on Reel 3. The entire reel will then turn Wild for one spin. The knight and princess symbols also pay out when they appear next to each other on either of the first three paylines. It’s not one of the most lucrative features but it is a nice little combination to keep an eye out for. The leprechaun or dwarf or goblin house front door on the tree stump symbols trigger the free spins bonus round if you hit three of them across the reels. This will give you a great chance to build up your wins. Once Upon a Time comes with two bonus features that will trigger a second screen. The first is the Goblin’s Treasure Bonus which is triggered by hitting three sacks of gold symbols across the reels. You will then have to follow the goblins around as they steal valuables and win you prizes. The second bonus feature with a second screen is the Save the Princess Bonus. This is triggered when you hit three knight symbols across the reels and is more of an interactive bonus feature where you must play the role of the knight and protect the princess from a dragon. 2,000 coins are up for grabs here if you're lucky. This is a typical Betsoft Gaming slot packed with bonus features, and you are never far away from a win. You won’t win a life-changing amount of money but if you want easy payouts and a lot of action then you will definitely want to get on-board. In the meantime, if you are keen to get some more medieval-themed slots action you will want to check out Microgaming’s King Arthur slot.